I was frantically stirring a pot full of meat and spices and mixing a pan brimming with onions and garlic, before my monster of an oven decided to explode my tomatillos. Taken completely by surprise, my body automatically distanced itself from the hot metal box, jumping out of the way like a kernel in a popcorn machine. This was my second experience with Blue Apron and it didn’t seem to be going well. I’m sure this wasn’t the image you had in mind when you read “Blue Apron.” The popular food delivery service is known for its manicured packaging of ingredients—tiny bottles filled with white wine vinegar and miniscule paper bags containing “knick knacks” or spices—not exploding fruits. What about the recipes, you ask. Any good? I made three dishes: creamy shrimp spaghetti, cheesy chicken & black bean enchiladas, and burgers and red cabbage slaw with Sriracha mayo and roasted sweet potato. Despite the amount of stuff I dropped on the floor and the mild panic attack that I received from the (above) incident, I would say the food was pretty tasty. My favorite was the chicken enchiladas, hence why I’m providing the full recipe. The salsa verde was just the right balance of hot and spicy plus wild and fresh flavor. Plus, I got to hit vegetables with a spoon until they softened. Who wouldn’t have fun with that? The one down side was that the tortillas were WAYYY too small and couldn’t fit the overpowering amount of beans and chicken. *Note: all ingredients were provided by Blue Apron, so some may be difficult to find in the grocery store. For example, Mexican spice blend could mean several things…I’m guessing it’s similar to this. *Note: When I followed the Blue Apron instructions, the timing was off for many of the dishes. Here’s my attempt at a time-friendly version. *Note: if you buy pre-minced garlic, it’ll be way easier. I used a garlic press and that seemed to do the trick as well. Heat up the kitchen with your tomatillos. Grab a sheet pan. Put foil on it. Then place the tomatillos on top. Drizzle with olive oil and season with salt and pepper. Shake the pan to spread the seasonings. Roast 11-13 minutes or until tomatillos are lightly browned and softened. Remove from oven, but don’t turn the oven off. *Note 1: start on step 5 and 6 while the tomatillos are roasting. *Note 2: my tomatillos decided to explode in the oven. They only had a few more minutes left, so I didn’t touch them. If it’s really bad, then put on glasses and long sleeves, then TAKE ‘EM OUT! Now for the chicken. Rinse the chicken, then pat dry with paper towels. Chop into bite-size pieces then put in a bowl. Add salt, pepper, and the Mexican spice blend. Toss to coat. Heat 1 teaspoon of oil in a large nonstick pan (on medium-high). Add the chicken and cook for 4-6 minutes, stirring occasionally. Cook until browned. *Mom note: always wash your hands after handling raw meats or poultry. Onion and free (a play on “young and free). Grab a large pan. Heat 2 tablespoons of olive oil (on medium-high) until hot. Add the onion and garlic (+ salt and pepper). Cook, stirring frequently, until softened (~2-3 minutes). Chicken: part duex. Add the beans and 1/3 cup water to the chicken. Season (again) with salt and pepper. Cook, stirring frequently, for 3-5 minutes until the water has cooked off. *Note: it took me the full 5 minutes to cook the water off. Blue Apron’s time estimates tend to be too low. Do the salsa verde. The tomatillos are probably done by now. Add the tomatillos to the onion and garlic pan, plus as much of the jalapeno peppers as you can handle [1/3 of the peppers = mild, 2/3 = medium, 3/3 = hot]. Add salt and pepper. Cook, stirring occasionally, and HIT THE TOMATILLOS WITH THE BACK OF A SPOON. Do this for 2-3 minutes until the tomatillos give up and break down. Then, remove from heat, and add half of the white wine vinegar. Season with MORE salt and pepper. Chicken: part tres. Remove the chicken and beans from heat. Add the other half of the white wine vinegar. Stir. Place in a bowl. Season (again) with salt and pepper. Can we eat these enchiladas yet? Add a thin layer of the salsa verde and 1/2 cup of the chicken and bean mix to the bottom of a baking dish. Tortilla-can-do-this. Place all tortillas on a flat surface. Divide the remaining salsa verde, chicken and beans, and 1/3 of the cheese between the tortillas. Tightly roll up each tortilla around the filling. Then, transfer to the baking dish. Top with the remaining cheese. Season with salt and pepper. *Note: I always put too much filling in my enchiladas. In this case, the combo of the tiny tortillas and my stuffing problem resulted in the enchiladas not staying together. Woops. The easiest part. Bake enchiladas for 11-13 minutes or until the cheese has melted and the enchiladas turn a light brown. Don’t touch it. For two minutes. Otherwise you’ll burn your taste buds off. I saved some of the salsa verde to put on top of the enchiladas. It was delish. Also, try adding sour cream. The basicness of the dairy counterbalances the spiciness of the peppers. Luckily my tomatillo explosion stayed within the sheet pan (not sure how, but it did). If your oven decides to bring cruel, cruel fate down upon you, then use this guide for making oven cleaner out of natural ingredients you probably already have lying around. 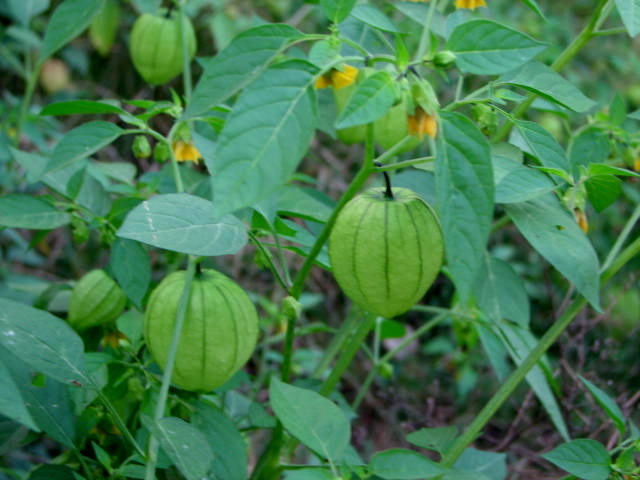 Not sure what a tomatillo is? Click. Here. Tap your toes to the song “Tomatillo.” tap. tap. tap.